Sycamore Lane Cabin features all the amenities Ferngully guests are accustomed to enjoying during their stay. 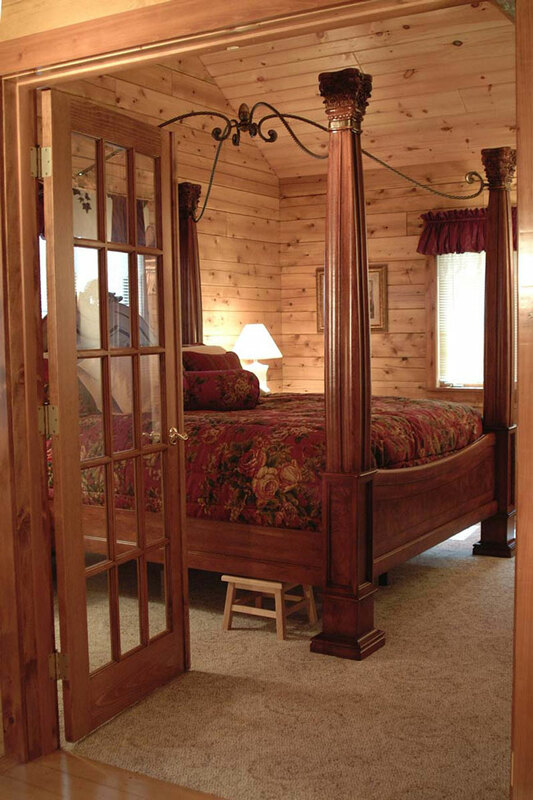 The king-size bed, handcrafted from beautiful wormy maple by owner Paul, and fitted with Amish-made mattress and luxury linens, provides relaxation and comfort at its best. With satellite TV, guests can enjoy their favorite music or movie in the bedroom or main area of the cabin. 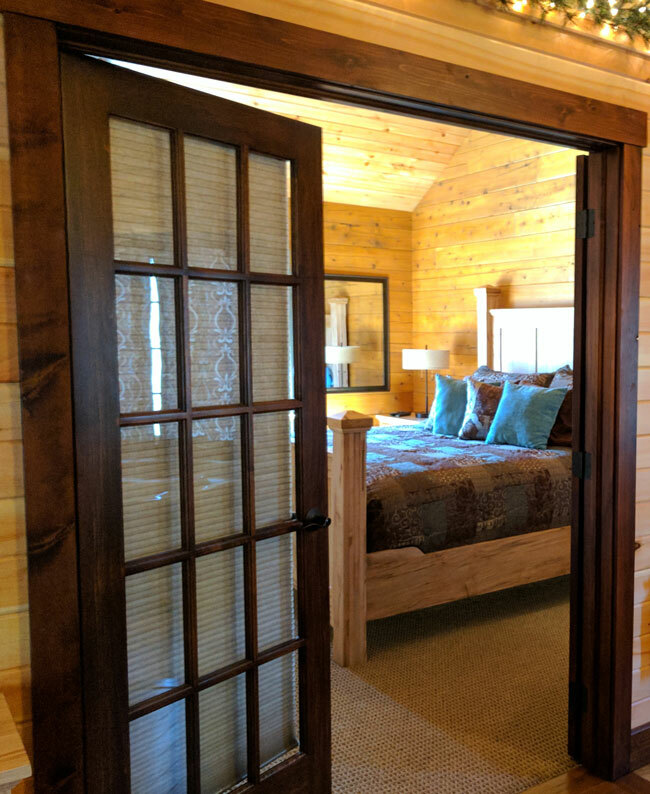 A handicap accessible cabin filled with luxury and accented with cherry furniture built from trees on the property, make your stay here unforgettable! 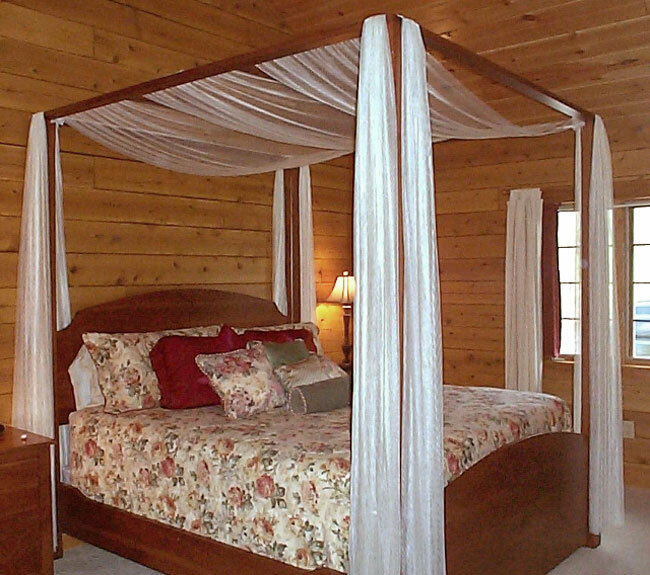 The beautiful hand-crafted king bed with its luxury linens will make sleeping late a necessity. 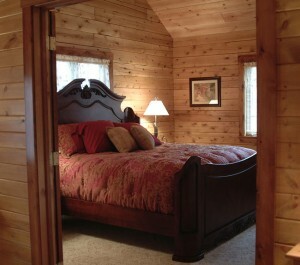 Watch wildlife wander by from your porch while you snuggle up on the rocker in one of our fluffy robes and read a book! Surrounded by nature yet filled with luxury, Cicada’s Song enjoys all the amenities you could wish for on your romantic get-away. 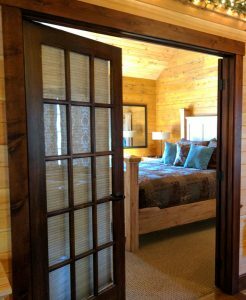 A fireplace, king bed, kitchen, screened-in porch and satellite flat-screen insure you will never want to leave this hide away! The over-size four poster king bed with luxurious linens and down-filled pillows invites you to sink into its comfort and relax. The floor to ceiling gas-log fireplace in the living room brings warmth to any evening whatever the season and the full kitchen allows you to decide if you would rather play the chef or venture out to one of the many nearby restaurants. A new 42″ flatscreen with satellite and surround sound provides music and entertainment at your demand.